There’s no place on Earth a flat kid can’t go! 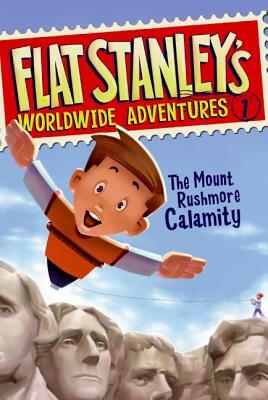 Join Stanley on his very first adventure in the renowed Flat Stanley's Worldwide Adventures series! Ever since Stanley Lambchop was flattened by a bulletin board, every trip is an adventure! The whole Lambchop family is off to see Mount Rushmore. But when Flat Stanley and his brother, Arthur, team up with a scrappy cowgirl named Calamity Jasper, their vacation turns into the Wild West experience of a lifetime. Pretty soon, they find themselves in a real tight spot—even for a flat boy like Stanley!